Spend a day and explore Old Dhaka! 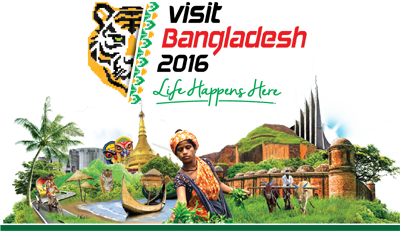 You will be able to visit some of the most popular attractions of Dhaka including the Lalbag Fort, Ahsan Manzil (Pink Palace), Sadarghat, Tara Masjid, the Dhaka University, the New Market and more. Old Dhaka is waiting for you! *Explore the local streets on a walking tour of the city. *Free hotel pickup and drop-off included. You will be picked up at your hotel in Dhaka and start your guided, full-day tour in Dhaka, the old capital city that is more than 500 years old. You will visit the Lalbag Fort, that was started by Mughal Prince Muhammad Azam, third son of Aurangzeb, in 1678. It was considered to be a combination of three buildings - the mosque, the tomb of Bibi Pari and the Diwan-i-Aam. Later, you will also visit the Ahsan Manzil (Pink Palace), Sadarghat, Shakharibazar, Tara Masjid, Armenian Church of the Holy Resurrection, Dhakeshwari Temple, New Market, Nilket, Shahid Minar, Bangladesh National Museum and Dhaka University as much as time allows. Then, you will enjoy lunch at a local restaurant, and in the afternoon, take a break for some afternoon tea . After finishing the tour, you will be dropped off at your hotel.